You have to serve a new food multiple times before your kids will accept it. If you’re the parent of a child who habitually rejects new foods, I bet you’re sick of hearing the multiple-exposure advice. I don’t blame you. For many families, it simply doesn’t work. Here’s why. Many children come to the table dressed in what amounts to a shield of armor that protects them against new foods. They know before they even sit down that nothing will convince them to try anything new. The first thing these kids do when they arrive at the table is identify the acceptables and the rejectables. Parents confuse tasting with eating. Let’s start by discussing habits. Habits are behaviors that become so routine that we do them without thinking about them. For many kids that’s what rejecting new foods is: a habit. They don’t even consider eating whatever it is that you’re offering. 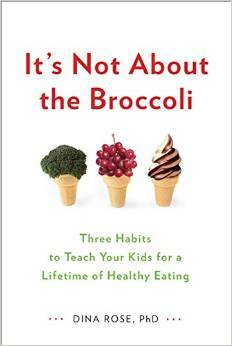 When you’ve got a habitual rejecter on your hands, even if you can get your tyke to take a taste—“You can have a brownie if you taste the broccoli!”—nothing really changes. Your child puts the required amount of food into his mouth and then automatically decides that it’s disgusting. Does that even count as a taste? You know that the research says that kids need to taste a new food somewhere between 10 and 15 times before they’ll accept it. But did you know that, in most of those studies, the children are only offered a teeny, tiny taste? That the kids couldn’t eat more of the food even if they wanted to? Your kids don’t have to eat the entire entrée. In fact, it’s the expectation of having to eat a new food that often makes kids refuse to even taste it. So what can you do differently? Stop trying to get your kids to eat new foods and start teaching them the habit of happily tasting new foods instead. Offer your child tiny tastes of food. Considering doing this away from the table because offering food during meals comes with the expectation of eating. You may think you’re letting your kids off the hook with the statement, “Just taste it. If you don’t like it, you don’t have to eat it.” But if you hear this from your child’s perspective—“If you do like it, you will have to eat it”—it’s easier to see why some kids balk. I know it is hard to believe that this kind of tasting can ever lead to actual eating, but it happens. The more kids get accustomed to tasting different foods the less fear they feel. And it’s eliminating the fear that helps kids lose their no-new-foods shield of armor. My pediatrician told us to tell our daughter she couldn’t have vegetables until she ate her dessert. When I was teaching head start, all the food was served at the same time and we didn’t tell the kids what order to eat it. We did ask that the kids take a “thank you” bite to thank those that provided the food… but never insisted. In most cases the kids were eating the food by the 4th week of school. We just never made a big deal about it…. but we also only served what there was and if the kids didn’t eat it, they were hungry for the rest of the day. Hi. I subscribed to the newsletter, but the link to the guide was broken and I can’t access it. Help me, please. Thanks! My daughter attended the head start program and I loved the way they went about meal time;) among many other of the great life skill habits they encourage!!! Since my 4 year old is an only child for the time being I love for her to help me cook dinner. I give her simple tasks to do in the kitchen and she loves it. She likes to taste test the food while we’re preparing it and I found this really helped her to not be picky about what I cook for dinner. She does go through the occasional phase of not wanting to eat certain foods, but I’ll substitute that with fresh fruit until she’s over it (which only lasts a couple of days). I also find my daughter not wanting to eat the same food she had for lunch that day in school for dinner, so I bring home the school lunch menu each month. I hope this helps with mom’s with picky eaters! Not being anyone’s parent myself I have no solid research to back this up. I was, however a kid once upon a classic and I think that the author is on to something with making it not food “tasting” but food eating and turning the taste into a game of sorts. At the age when kids start being able to refuse to eat and declare their power and independence- they also like to have their opinions heard. Use that to your advantage. The first step, though is not to automatically assume that the child will not like whatever it is (whether from historical anecdotes- kids hate broccoli,spinach, liver…or because you yourself are not all that fond of the food – putting the spinach on the plate the first time and saying, “now, try this, and if you don’t like it- you do not have to eat it- you just have to try it” Sets the tone that whatever it is will be NOT good. Nobody says that with cookies, or ice cream, do they? I would think that a “oh, hey try this and tell me what you think it tastes like- should we have this for dinner? it happens to one of my favorite things to eat” would be so much more effective.with a child (or an adult for that matter). I was a kid that would try literally anything- I grew to be an adult who will do the same. 2 of my favorite veggies were NEVER ever served at home, because my mother did not like them. Peas, I thought I did not like them and picked them out of my food until I was about 22- mom hates them they must be terrible! And beets-my childhood friend’s mom served them regularly-I was a polite guest the first time and fell madly in love. Needless to say I invited myself over whenever they were on the menu in that house. All of this is to say that I think parental attitude about foods, new and old can go a long way to helping discouraging picky eating- that can last a lifetime. I can still remember how my parents made us try something. As an adult in have a choice of what to eat! I get so tired of people making such a big deal over eating. My child went thru a phase of nothing but macaroni and cheese. His pediatrician sad buy it by the case don’t MAKE him eat anything he doesn’t want. He’s healthy and don’t worry about it. He’s 22 now and eats sushi calamari and lots of weird stuff. I make choices of what I want to eat so can he! Quit making a mountain out of a mole hill. Problem is, not everyone is the same. Not everyone thinks *exactly* the way you & your pediatrician do. In my personal opinion, I think it’s horrific and disgusting to feed a child macaroni and cheese on a daily basis… It’s not real food or cheese, it’s loaded with fat ,carbs, dyes, chemicals and absolutely no nutritional value. I think it’s laziness that makes people NOT make proper nutrition an issue. Well. The reason people make a big deal out of it, is nutrition is obviously one of the most important factors in life. It can influence a child’s behaviour, immunity, and general functioning. Their ability to retain information, their hormonal development. Etc. I don’t think I need to go on. It doesn’t take long for a child to be effected by poor eating ( a day or two, sure but a couple weeks would concern me). So I do think we should be worried if our children are very picky and instead of focusing on what is wrong with them? I hate to say it, but ask ourselves how could we change OUR ways of presenting food? This article is great, as is Clicquot’s comment. 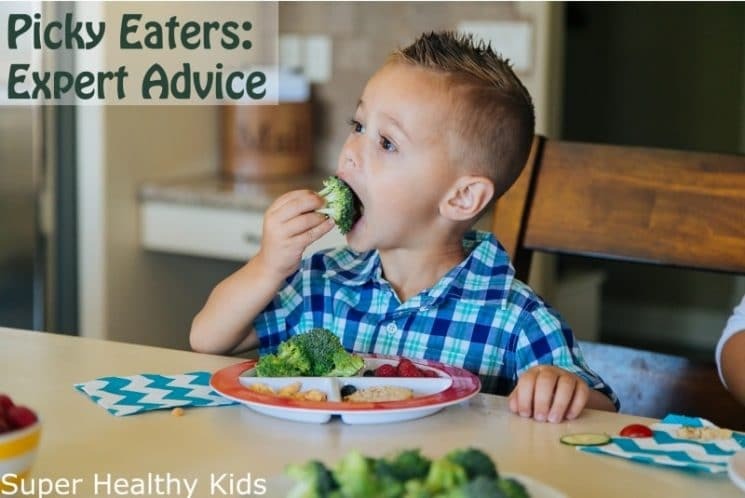 We often set our kids up for rejecting foods because of negative connotations like chicken nuggets, mac and cheese, and hot dogs being “kid food” and things like green veggies and spices being adult foods. Assuming kids like plain, unhealthy foods is doing them a disservice. I think one of the biggest factors is early introduction, but it’s never too late. The answer to me is… just don’t serve junk. If it’s not around, kids won’t eat it. If you don’t want your kid to live on hot dogs, don’t make them part of your rotation.. I am confused why some people seem to act like their kids make all the rules. The other big one I think is getting stuck in a rut… If they don’t like boiled veggies? Stir fry it, bake it, roast it in low sodium broth, cook it in a stew, try cutting them in fun shapes or sticks, sprinkle different spices, combine them together (turnip and carrot is especially delicious! ), add a little parmesan. So many options. If your child literally is starving, deemed underweight or malnourished by a pediatrician, then sure.. maybe you need to seek alternate help or consider it may be a disorder, but I think a lot of this “picky eating disorder” talk lately is.. well, nonsense. As someone with education in nutrition and being a parent myself, I would say this article pinpoints it exactly! Get rid of the negative talk, stand firm, and don’t set your expectations too high too fast. Try new things and keep at the old, if they really truly hate it, let them have a couple because even adults have dislikes, but don’t give up after three times. I’ve never ever ever seen it fail.